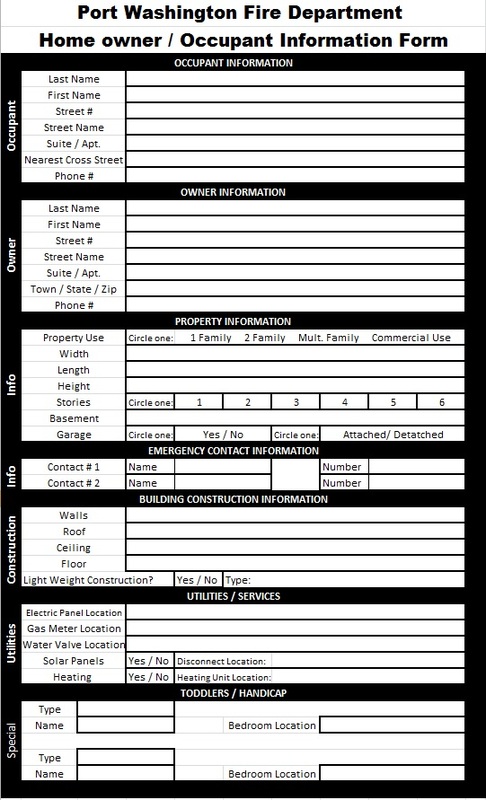 Whether you’re a homeowner, renter, or commercial occupant please take a moment to fill out the following form. Once the form is filled out, to the best of your ability, e-mail it to the PWFD Chiefs. The information you provide will be made available to firefighters ONLY in the event there is an emergency at your home. Your participation will increase firefighter safety and is greatly appreciated.